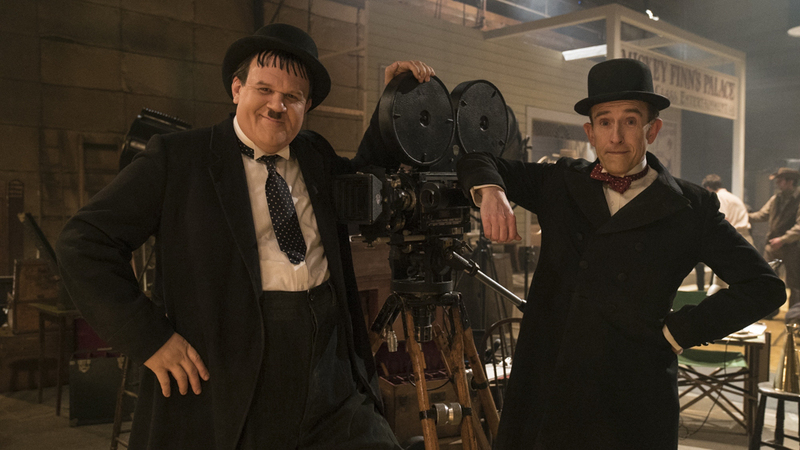 Stan & Ollie was chosen to close the British Film Festival in November and there couldn’t have been a better choice. This film is quintessentially British although one half of the duo was American. I had not actually registered that until this film. 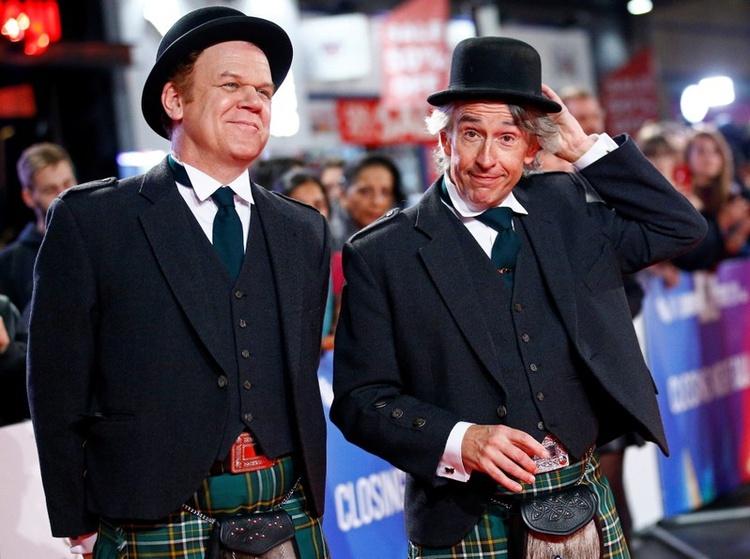 Perhaps it was their look which was very English with their bowler hats, which featured in so many of their comedy skits. Their look was also quite Chaplinesque. Stan Laurel actually performed with Chaplin for a time on the vaudeville stage. This film is focused on a short period of the duo’s life when they toured England in the early 1950s. It was a long time from their heyday in the early 1930s – generations ago. They combined slapstick with a gentle wit and the audiences loved them, their timing was impeccable. The tour sees them open in small, second-rate theatres, only half-full. It’s a sad fall for such a successful act. However, after a gruelling publicity schedule with staged filmed set pieces, their touring success grows. 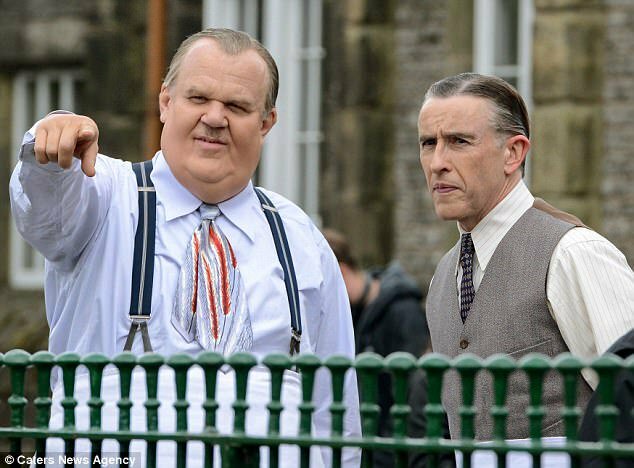 Steve Coogan as Stan Laurel and John C Reilly as Oliver Hardy are inspired casting. Coogan inhabits the Stan character completely from the start and has the sympathy of the audience for his unassuming Englishman persona. Reilly, too, takes up his character with gusto – from the sweating, uncomfortable walk to the general awkwardness of his heaviness. 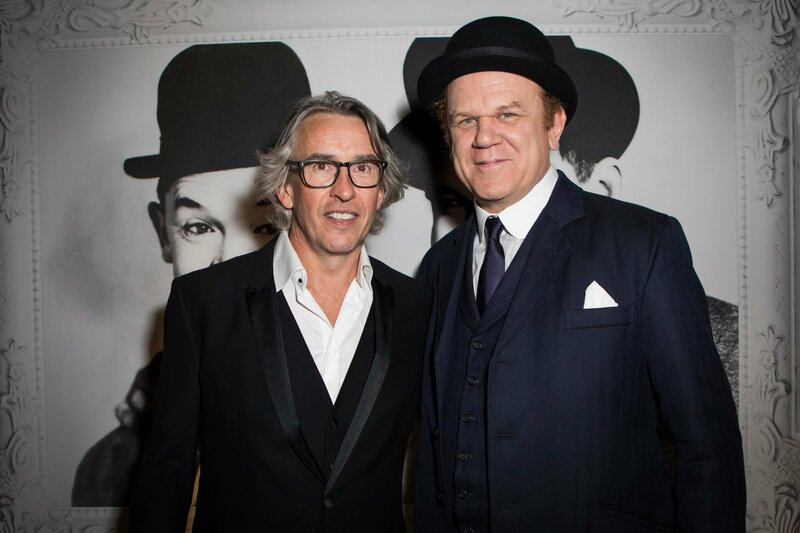 In 1950 many of the people Stan and Ollie meet know them from their parents’ time. They are being superseded by a crass version of themselves in Abbott and Costello (for Gen Ys, this is not the clowns we had in Parliament in the early 2000s) who featured scantily class women and 50s space age story lines in their films. 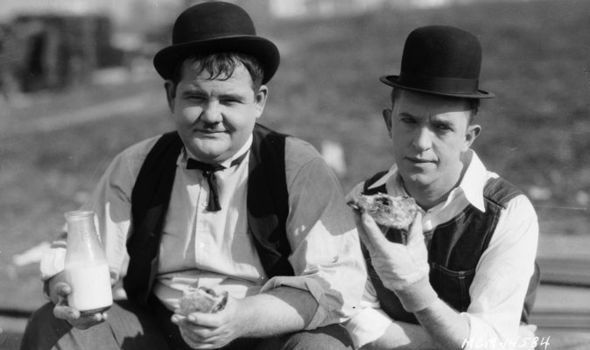 Laurel and Hardy were relics from another, genteel time, their comedy more gentle, their wit more subtle and their comedy less cruel. 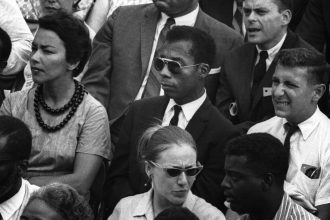 Their easy partnership had weathered their separation by the studio, different wives, new comedy partners, and changes in their fortunes. However, their obvious rapport and care for one another allowed them to embark on their tour across the UK many years after they first became a team. It is like many relationships and perhaps marriages. The couple go through so much, intense passion to ether then a number of distractions but when they come together there is a realised familiarity and care, and very deep love. Their wives, also incredibly well cast, are played by Shirley Henderson (Lucille Hardy) and Nina Arianda (Ida Kitaeva Laurel). They have their own routines together – witty and snappy. They have a friendship although they seem to be sparring partners most of the time. They’ve obviously been through a lot together. 1950s Savoy and London are recreated to perfection. The towns they visited outside London also conjure a sense of nostalgia for a past that may or may not have really been. Rufus Jones as their tour promoter, Bernard Delfont, is the key to their transition between their past and their current success. When they first meet he books them into second-rate places, telling them he is unable to secure their bookings at the top joints. Meanwhile, he is booking his other comedian Norman Wisdom into the best theatres. He doesn’t understand their value as he is focused on the humour of the day but his views change when he sees how the audiences react to their beloved Laurel and Hardy. The 1953 tour of the UK took in many of its largest cities – Newcastle, Norwich, Birmingham, Liverpool, Glasgow – and according to the reports, Laurel and Hardy were mobbed by fans wherever they went. When they visited Cobh in Ireland, the church bells began to ring out their famous theme tune ‘The Cuckoo Song’. Laurel said: “We both cried at that time because of the love we felt coming from everyone”. Laurel was the writer of the dialogue and finesser of their skits, Hardy was the more Hollywood member of the duo and counted Bing Crosby and WC Fields as his good pals and golfing buddies. This film has been made with obvious care and love, and it evokes the feeling of love the audiences felt for the duo. I came away thinking of my dad, whose own dad had been a big fan and had taken him to see them at the Alhambra in Bradford. I could hear them both with their hearty laughter. To enjoy again the gentle humour of a time past is a good reminder of simpler times and hopefully this film will bring about a new generation of fans. 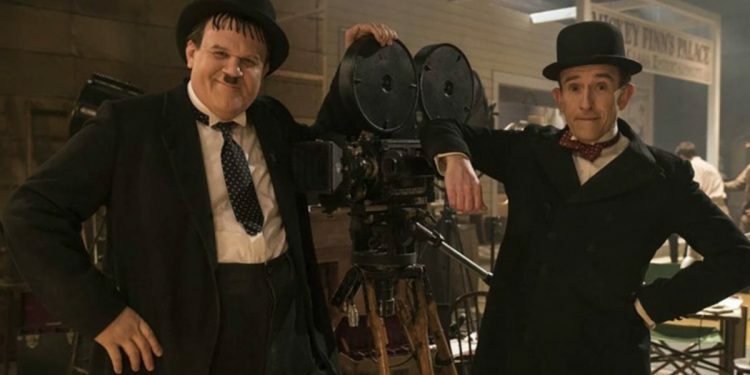 Laurel and Hardy deserve to be appreciated again and this story is a great springboard for a reawakening of their humour.